Arkansas grower, Billy Tripp saw an 18 bu/ac increase after incorporating Stoller’s Bio-Forge® into his corn crop management program. Arkansas grower, Billy Tripp saw an 18 bu/ac increase after incorporating Stoller’s Bio-Forge® into his corn crop management program. Not only did Tripp see an increase in yield, but he also saw better color and more uniformity across the field after applying StollerUSA’s flagship product. 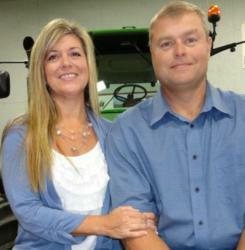 Tripp Farms, located in central Arkansas, operates 2,000 acres of corn, rice and soybeans. An area known for high wind and heat, Tripp’s focus was to manage the impact of the adverse growing conditions and maximize yield results. Tripp applied Bio-Forge as a foliar spray late in the season to combat the stressful high heat and dry conditions. Soon after application, he noticed kernels were larger with a smaller, darker red cob, which resulted in the significant boost in yields. 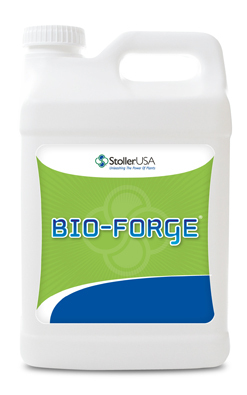 Maximizing the genetic expression of plants, Bio-Forge is a proprietary formulation designed to promote plant vigor while managing excess ethylene and the stress of extreme temperatures, drought conditions, high plant populations, excess moisture—even herbicide damage. It up-regulates key genes to offset stress and maintain optimal hormone balance so plants can function properly. It is easy to use and can be applied anytime in the growing season—as a seed, in-furrow or foliar treatment. Headquartered in Houston, Texas and celebrating over 41 years in business, StollerUSA is dedicated to helping producers enhance yields by maximizing genetic expression. StollerUSA maintains an R&D team at the Norman Borlaug Institute for International Agriculture at Texas A&M University staffed with Stoller research professionals leading the way in the development of plant performance products. Only Stoller products contain Stoller’s proprietary technology that is proven to ensure optimum plant growth by maintaining appropriate hormone balance and activity. In combination with proper nutrition and good farming practices, the result is enhanced marketable yield, significant return-on-investment and improved stress tolerance. Validated by Universities nationwide, Stoller’s unique formulations outperform traditional products and result in healthier, more productive crops that are better able to achieve their full genetic potential.